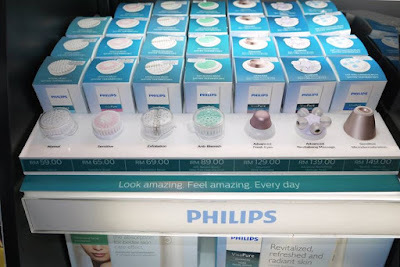 My favourite personal care brand, Philips has launched four new skincare devices recently. Aside to its award-winning Philips VisaPure, we could achieve beautiful skin with the Philips skincare range at the convenient of home. 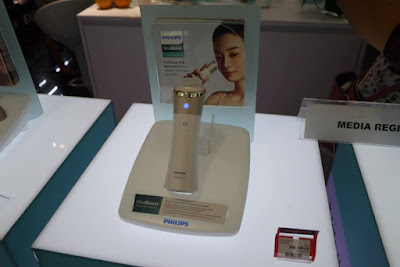 Building on Philips’ 60 years of beauty heritage, the Philips VisaPure Essential Anti-Blemish, Philips VisaCare, Philips VisaBoost, and Philips VisaPure Advanced feature innovative technologies in the areas of skin cleansing and care, and skin resurfacing and rejuvenation. Designed for women across different age groups and skin types, the new Philips skincare range offers a way for women to enhance their beauty regime through smart solutions, technology and innovation. Ms Kong Puey Yoon, Marketing Manager for Personal Care, Philips Malaysia and Mr Muhammad Ali Jaleel, Country Manager for Philips Malaysia and General Manager for Personal Health, Philips Malaysia with the PhilipsVisapure Advanced. 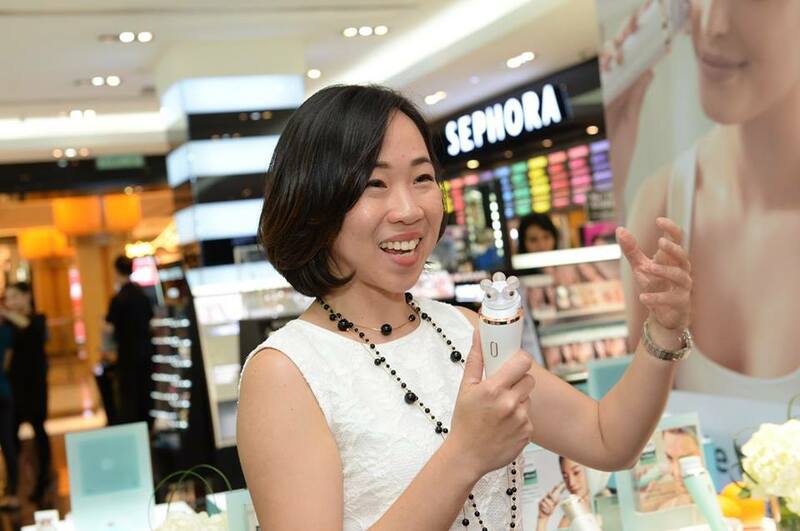 Ms Kong Puey Yoon, Marketing Manager for Personal Care, Philips Malaysia told us that “Feeling beautiful – which takes time, money and effort – is a constant pursuit for most women. In fact, recent research by Philips found that the average woman spends about 32 minutes a day on her beauty routine, and about nine percent of her net income on hair and beauty products monthly.” at the launch event which was held at Sephora, Sunway Pyramid 2 weeks ago. Ms Kong Puey Yoon, Marketing Manager for Personal Care, Philips Malaysia explaining the benefits of the massaging head of the Philips Visapure Advanced. 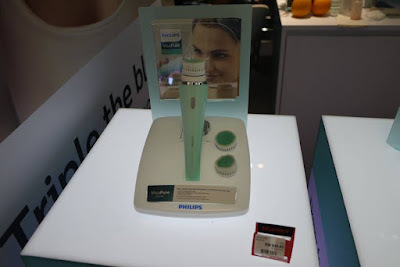 The Philips VisaPure Essential Anti-Blemish, Philips VisaCare, Philips VisaBoost, and Philips VisaPure Advanced aim to bring the salon experience into the home, elevating the results of women’s beauty regimes through advanced technologies. 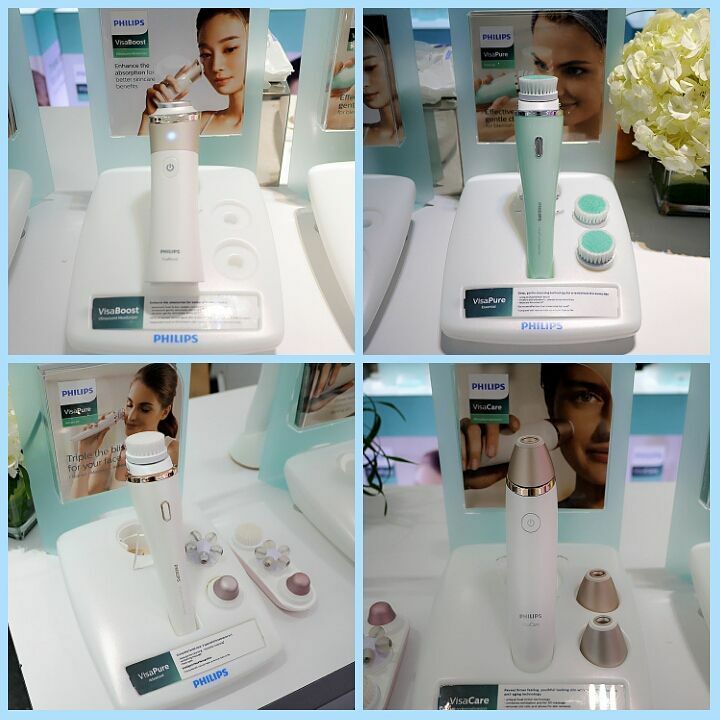 The new range of Philips skincare tools offers women four new ways to refresh and pamper their skin. 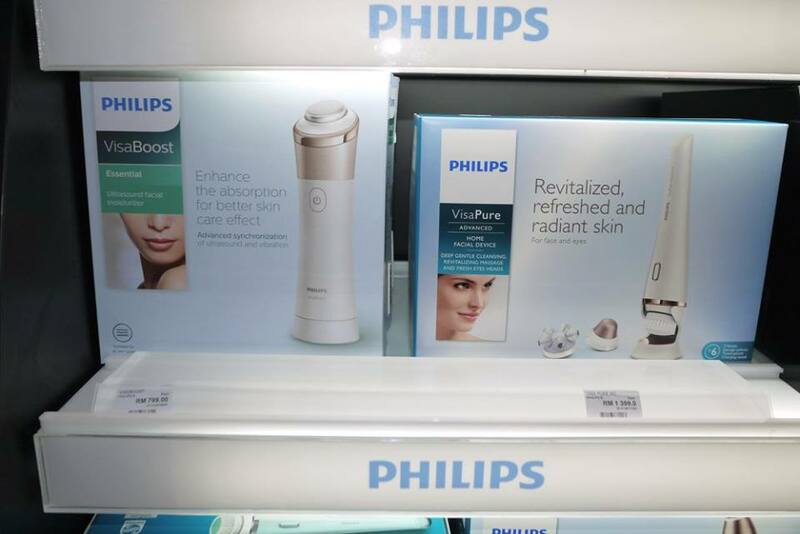 Taking at-home skincare to the next level, the Philips VisaPure Advanced features a tailored Philips VisaPure Advanced cleansing and care approach, delivering a pampering experience. This advanced facial cleansing tool comes with three interchangeable heads – Deep Cleansing, Revitalising Massage and Fresh Eyes – that work to improve micro-circulation, increase absorption of skincare products and refresh tired eyes. The near-field communication technology in the device automatically recognises and differentiates between the three attachments, triggering a tailored programme suited to it. The Philips VisaPure Advanced takes your beauty routine to the next level, leaving skin radiant, revitalised and healthy. I can’t wait to share with you my review on Philips VisaPure Advanced soon, do stay tuned OK. 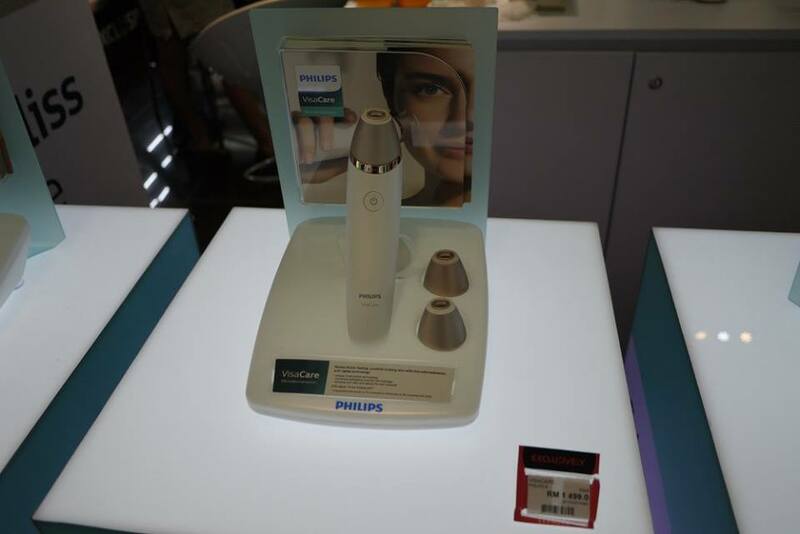 Equipped with the microdermabrasion technology commonly used in professional beauty salons, the Philips VisaCare invigorates and maintains the skin's natural youthful look. 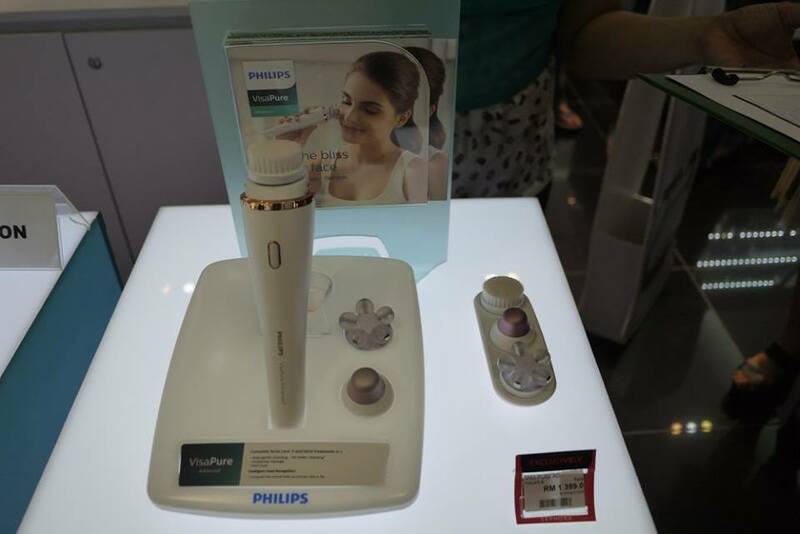 The Philips VisaCare’s DualAction Air Lift and Exfoliation system encourages blood circulation, while removing dead skin cells. This stimulates the natural cell renewal process, resulting in younger-looking skin in just four to six weeks. Suitable for all skin types, the Philips VisaCare can be used for five minutes twice a week for smoother, firmer and more radiant skin. 93% of women who have used the Philips VisaCare reported instantly smoother skin, while 84% agreed their skin looks more radiant and healthier. Using a combination of ultrasound and vibration, the Philips VisaBoost is designed to help better absorption of skincare products into the skin for maximum effect. Ultrasound waves dissolve skincare products into micro-molecules which are more easily transported into the skin, while the vibration gently massages the skin to stimulate micro-circulation for improved absorption. The result is skin that’s fresh and smooth after treatment, and more hydrated and moisturised after six weeks. Good for all skin types, the VisaBoost can be used with your preferred skincare products including serum, lotion or cream. 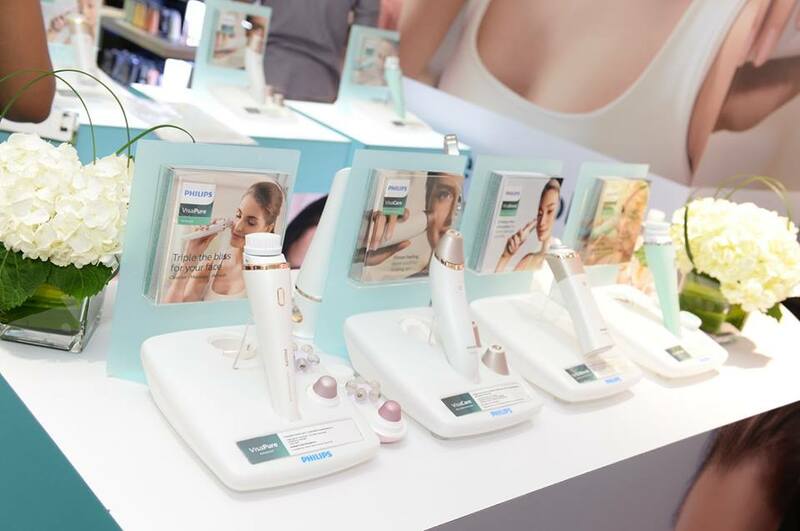 Targeted at acne prone skin, the Philips VisaPure Essential Anti-Blemish uses gentle yet effective dual motion technology and a special brush to tackle the two stages of acne formation. It works with a cleanser to dissolve sebum and reduce oiliness, then removes dead skin cells and residue that can clog pores. Its long, thin bristles reach pores better than hands alone, making it 10 times more effective but just as gentle. As a bonus, the Philips VisaPure Essential Anti-Blemish improves micro-circulation and stimulates blood flow, leading to more radiant skin. In addition, proper removal of dead skin cells and residue helps the skin absorb creams and moisturisers more effectively. 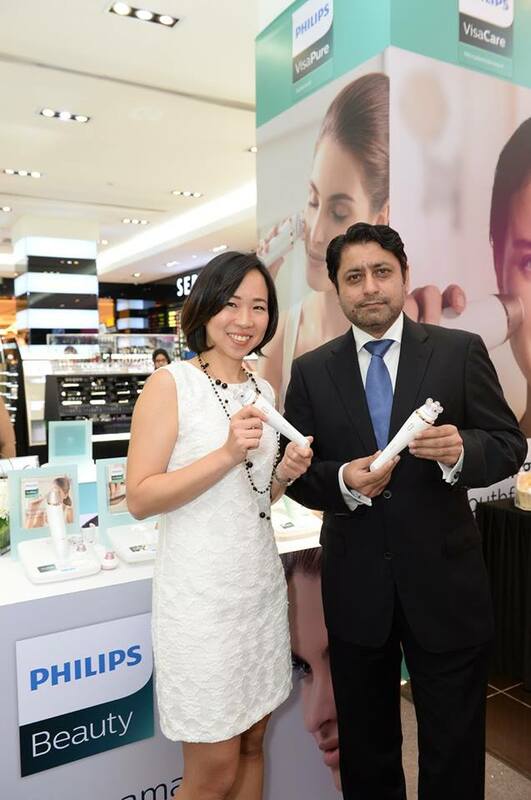 The new range of Philips VisaPure skincare products is available at the following selected Sephora outlets: Suria KLCC, Paradigm Mall, Sunway Pyramid, Midvalley Megamall, IOI City Mall, KOMTAR, Johor Bahru, Gurney Paragon, Penang and Imago, Kota Kinabalu. 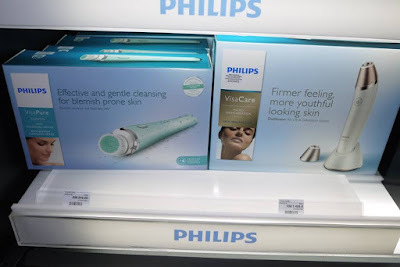 You could buy all the Philips skincare range's brush/head at Sephora too. The Products looks great.. Wish I could own one.. I love their cleansing brush, it make my skin smoother also.